Besides, I won’t be totally alone, Fred is here with me. 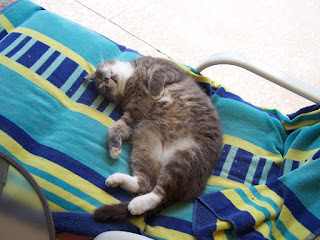 He doesn’t say much, except for around dinner time, other than that he mostly sleeps all day. So here I am lucky to be in a place with plenty of days of great riding weather but there is a slight catch. I have never been out on my bike alone, at least not here. Three weeks is a long time to just leave my bike parked in the garage, and one can only walk by and pat it so many times before the urge to twist the throttle over powers. 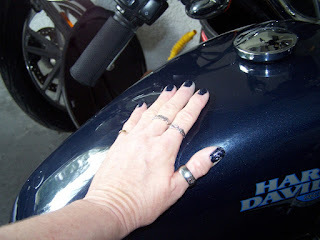 Yes I have a tendency to pat my bike when I can’t get out and ride, doesn’t everybody? After seven years of riding I just haven’t done solo that much. The opportunity just hasn’t presented itself, especially here in Florida as we always ride together. (On separate bikes of course) His riding style is much faster than mine so I always follow, I actually prefer it that way. I also figure this gives him a chance to ride his ride and me mine, at least whenever the opportunity presents itself like when we are in the less populated areas. The thought of riding alone doesn’t bother me, but for some reason riding alone here does. Although I am looking forward to riding where I want, when I want and for how long I want, the whole “no one to answer to” sort of thing is very appealing. Back home when I had my little V-star (I loved that little bike) I took her only out twice for a solo ride, just on a little cruise through Burks Falls and once up to Kearney. 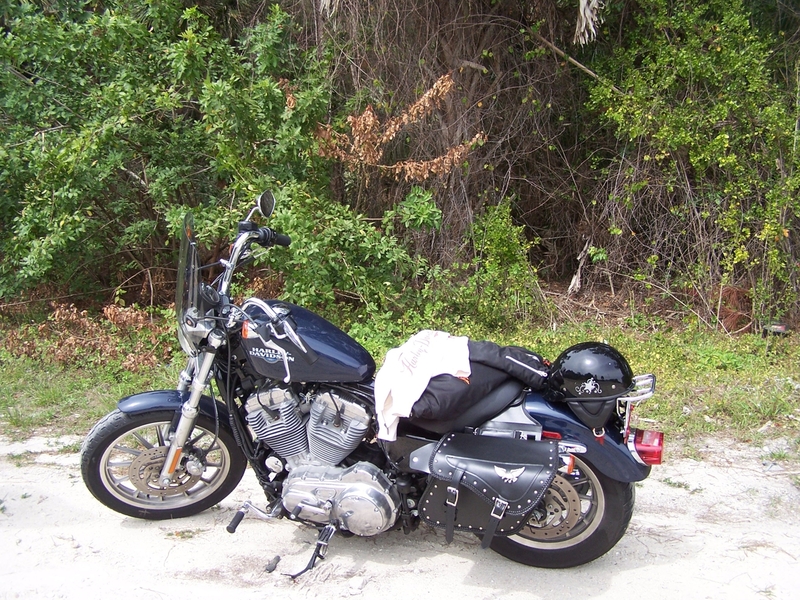 I was fairly new to riding back then but I sure did enjoy those solo rides, even if they were just brief ones. 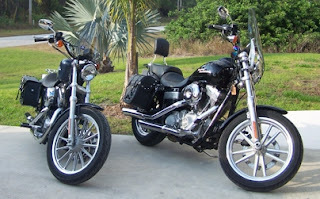 Just those two little rides had sparked something deep within me and enlightened my soul. 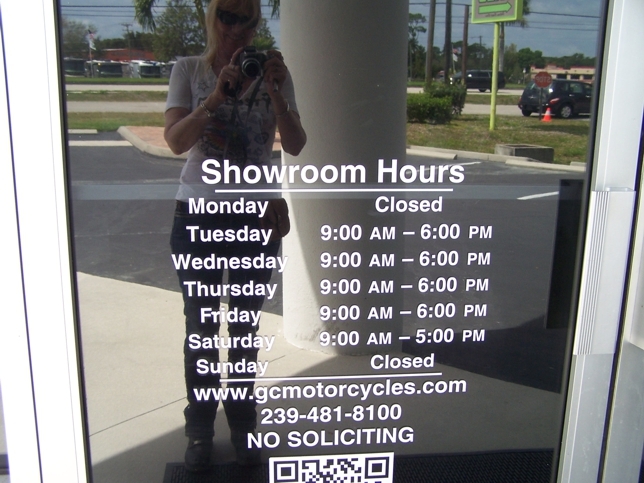 Then we started coming to Florida, traded our bikes in for Harley’s and because we licensed them here we felt it easier to just store them when we leave. So consequently I have been left bike-less when we get back to Canada. Ironic isn’t it. Anyway that brings me back to riding solo, I can still remember how it felt to be totally immersed in the ride back then, a freeing of the spirit, independent, and capturing a taste of that carefree attitude of my youth. I suppose now is my chance. However, I am a still just a tad jittery at the thought of going it alone. 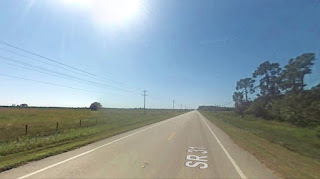 Also if you have been following my posts, you will have noticed the familiar theme of straight and flat around here, so finding an interesting road to ride is very unlikely, at least one that is close by. I don’t think I would attempt an epic journey just yet, at least not here. 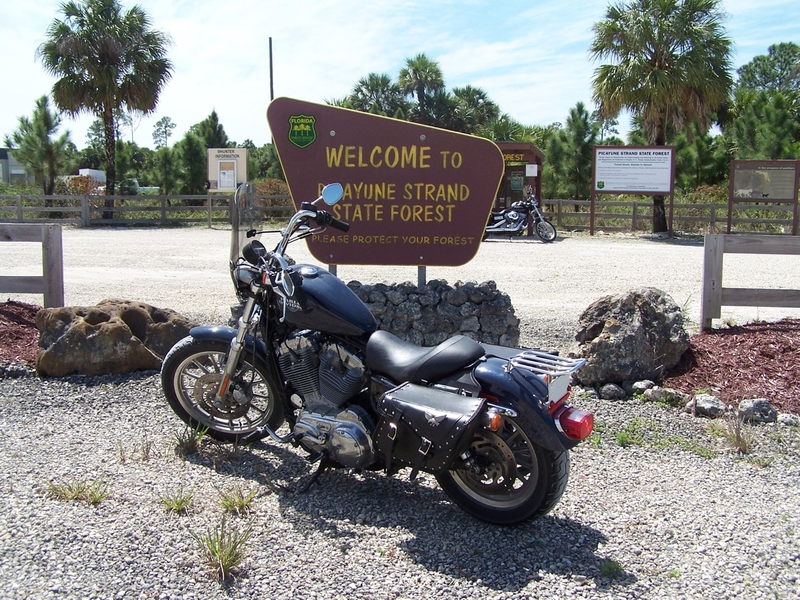 So if I really thought about it, if I could get my motorcycle licence by myself, then I sure can go for a ride in Florida by myself. 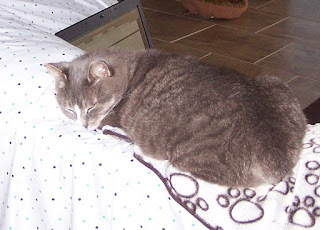 Guess I just needed a bit of a pep talk, and putting it in a post seemed a little more saner than talking (out loud) to myself, besides Fred didn’t bother to stay awake long enough to listen to me. If you made it this far reading my babbling, Thanks for listening. 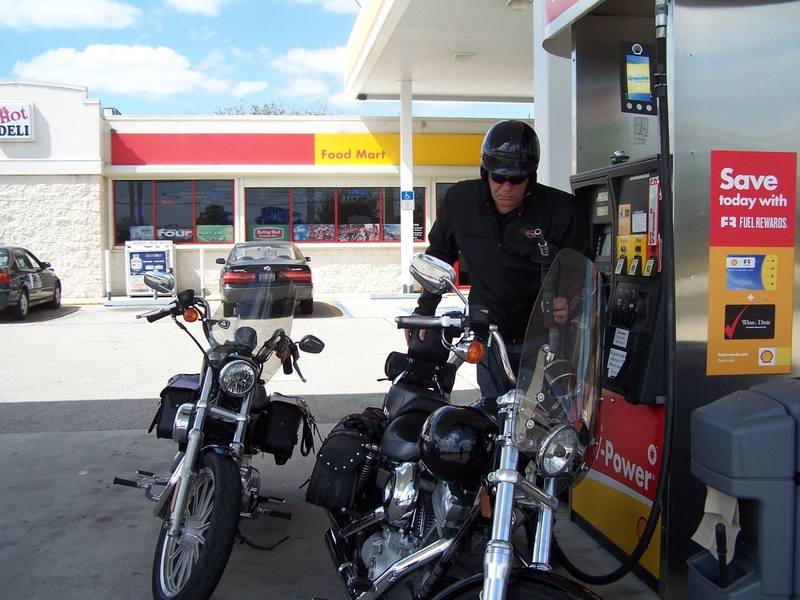 Adventure Riding on a Harley... what? 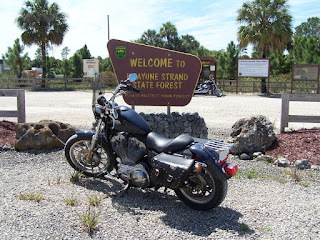 Back in February on one of our adventures, ‘To the Everglades...Not Quite’ we had discovered a route through the Fakahatchee Strand Preserve State Park that looked as though it might be an interesting ride. 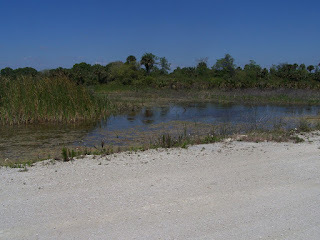 But at that time flooding had closed the road and prevented us from exploring the more ‘wild’ side of the ‘Real’ Florida. Today I figured that by now the water should be dried up and figured we should try it again. The temperature started off a little too cool for my liking but the weatherman promised me that it would eventually be a sunny warm day. So taking him at his word (this time), we headed out. 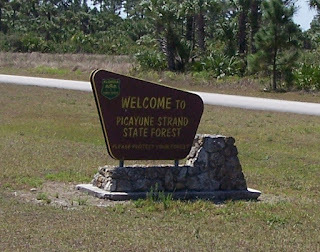 We would be coming in from the opposite direction from where we had initially found the road so I had printed off a Google Map to help us navigate through the Picayune Strand State Forest that would eventually lead us to the Scenic Drive that I had waited this long to experience. SR-82 was extremely windy and even the perpetual wind tunnel of 29 was windier than usual (if that is at all possible) but I persevered. 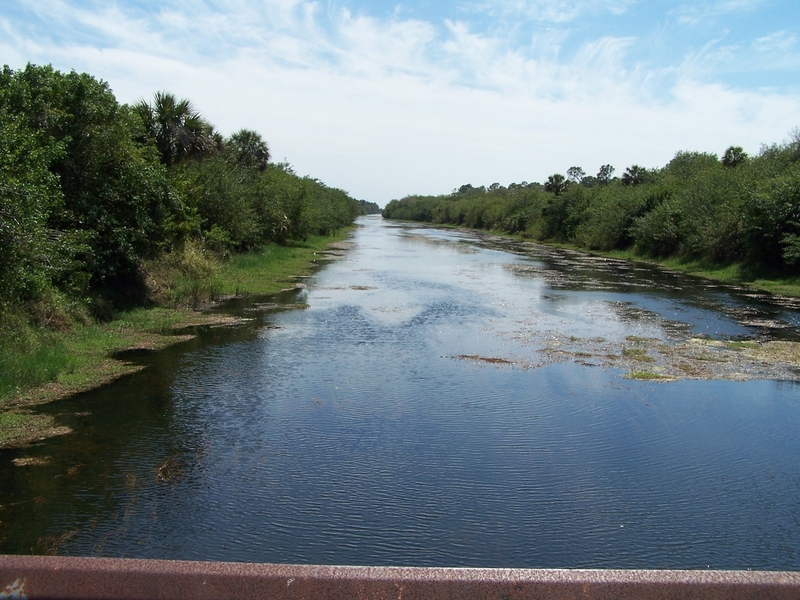 Eventually we got shielded from the flat openness of farmland when we got into the town of Immokalee. Next we turned down 1st and passed the Casino leaving the town behind us and headed back into the more remote side of the country side. 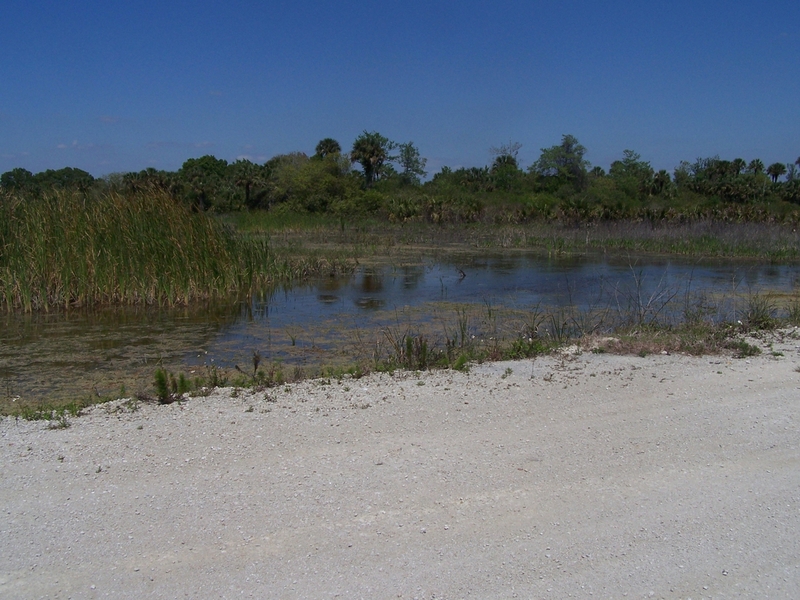 After a short jaunt, we soon were turning off at Everglades Blvd. No surprise it was a very long, and wait for it... straight road. 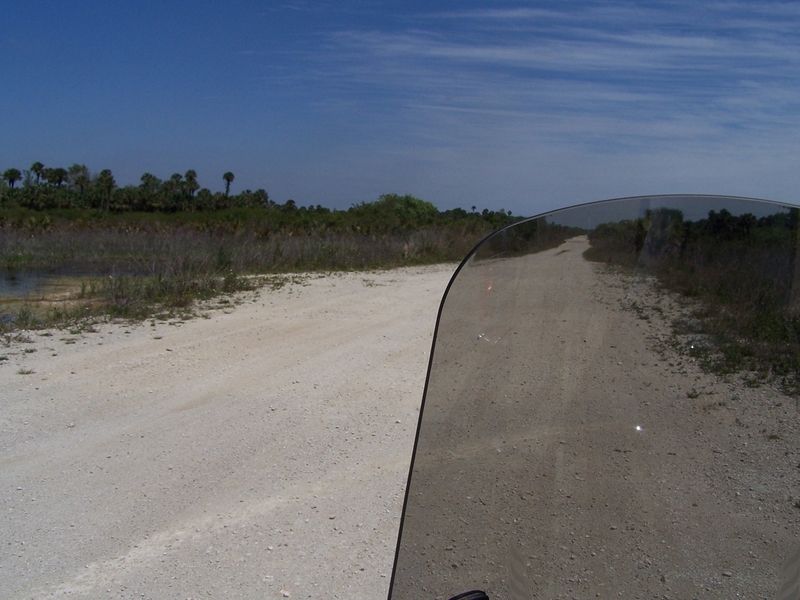 However this was not the usual orange field and palm tree kind of a road out in the middle of no where. Instead, looking strangely out of place, an upscale neighbourhood emerged tucked behind chainlink fences and cement walls with iron gates. Eventually we crossed over a bridge that spanned over the I-75 highway and left the huge houses behind to come upon the Welcome sign to the Picayune Strand State Forest. 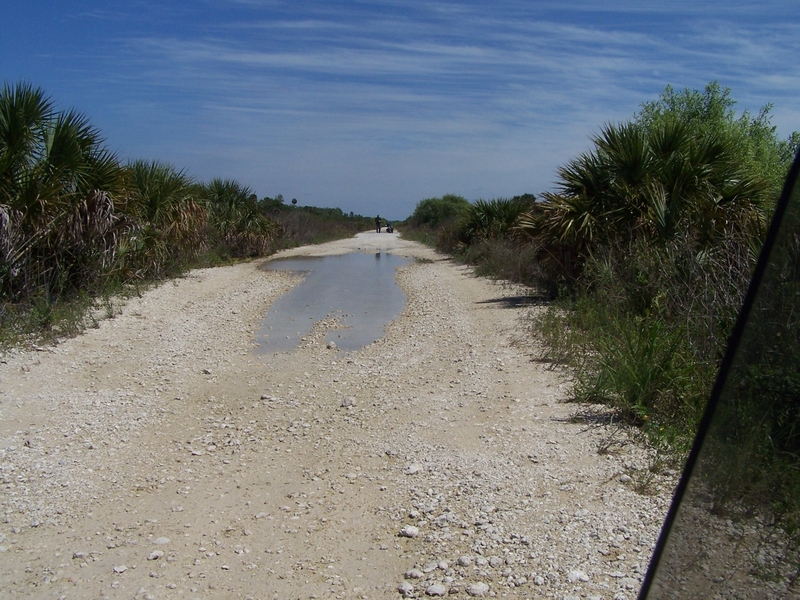 According to Google, the road was supposedly paved, however today that was not to be. At least it looked hard packed and lucky us, while we were standing there having our moto-break a water truck came by to spray water on the road to keep the dust down. 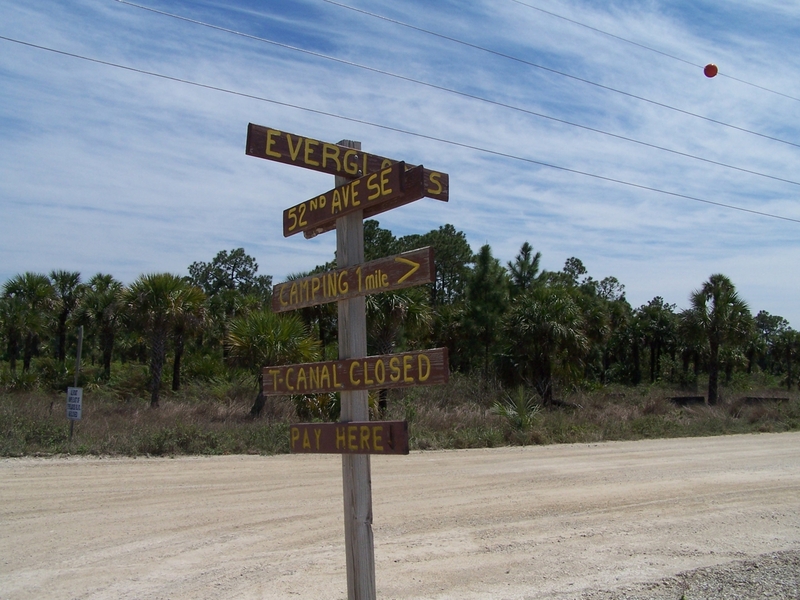 The gravel road continued for several miles until we came to the next Welcome Sign where the entrance to the ‘pay’ portion of the park starts. Which incidentally was closed due to a restoration project that was going on. Our route was to go left down Canal Rd., so we paid little attention to the signs. We made our turn so that we would eventually get to the start of ‘Jane’s Memorial Scenic Drive’. At least that is what we thought. It was nice to see that the pavement was also back and gave me a chance to cough out the dust that I had swallowed from following my BF. Apparently that water truck earlier really didn’t make a difference. It was a little unnerving when I passed a road sign that warned of Panthers, but knowing that Panthers are nocturnal I wasn’t really worried, and besides I didn’t plan on being in here after dark. At least I was fairly confident we wouldn’t be. A few miles down, the road simply vanished into nothing more than walking path forcing us to turn around. After consulting our backup map and figuring we could get there in the other direction we went back to the park entrance. That is when we noticed, staring at us plain as day, that the road we had been on was in fact Closed. A few miles more of dust filled lungs we turned onto Miller Blvd and pavement once again returned. If you could call it that, it had more holes in it than a block of Swiss cheese. In the sections that didn’t have potholes it just gave way instead to a washboard effect that had me intermittently standing on my pegs to keep from getting my insides whipped into a smoothie. We came upon a Park Employee in a golf cart who disappeared after we passed and after that we never came across another soul for quite some time. I was glad there was no traffic as it gave us plenty of space to play dodge the pothole and avoid the possibility of losing the bikes in one. Looking a little strange on such a deserted road we pulled up to a stop sign. I had a hard time picturing this place as a busy intersection. 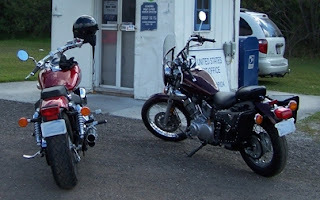 It was time for another moto-break before we made the turn onto Stewart (100th Ave SE), and I welcomed the time to settle my stomach from the shake, rattle and roll contortions I had just done. 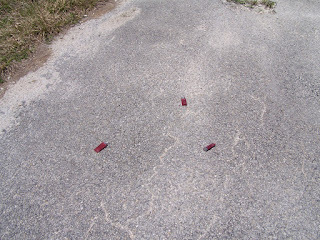 Getting off my bike I noticed the road was littered with shot gun shells and it made me wonder if someone from the movie Deliverance might jump out of the thick brush. 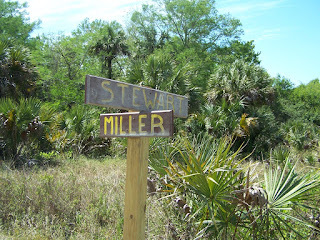 Continuing on Stewart, once we crossed over a bridge it was back to gravel again. 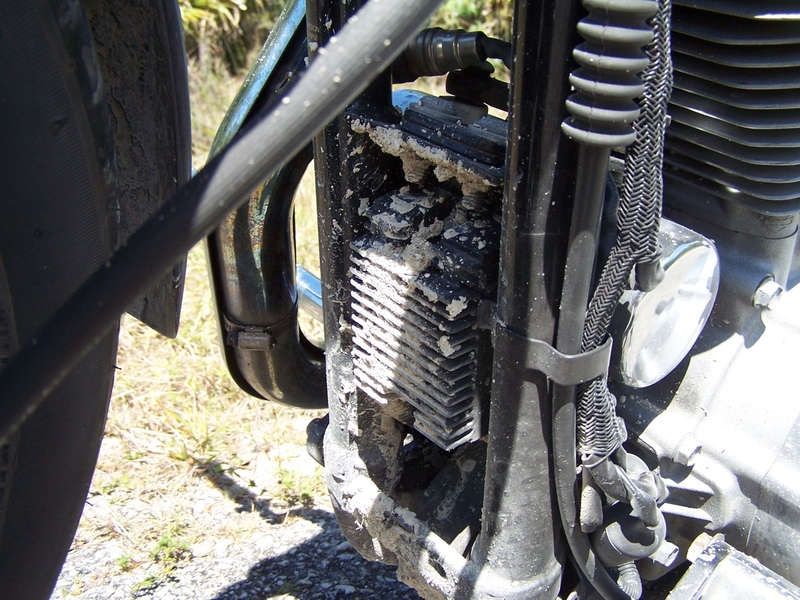 This was turning into quite the ‘adventure ride’ on a Harley. And became painfully obvious that we were on the wrong bikes for this type of outing. The further we went down that road the more it deteriorated to the point where there was no way to get past 2nd gear. 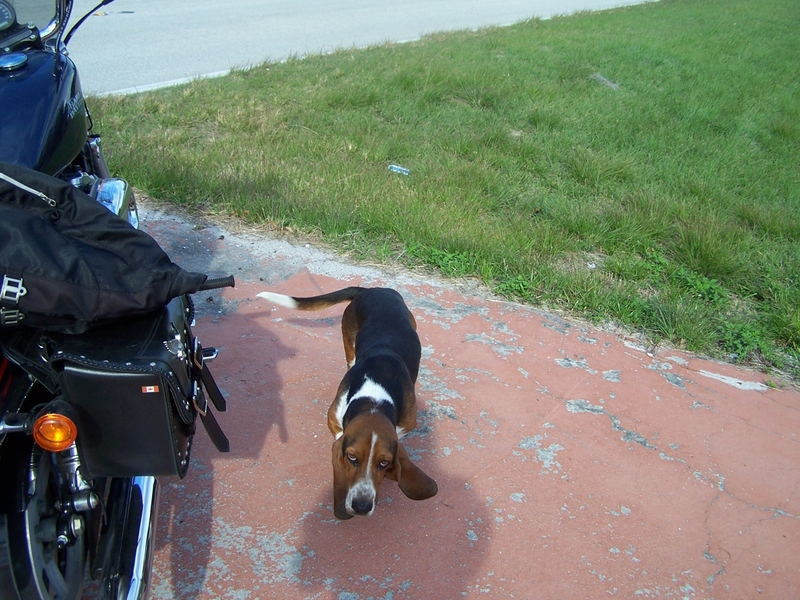 Harley’s just were not meant to ride this slow! 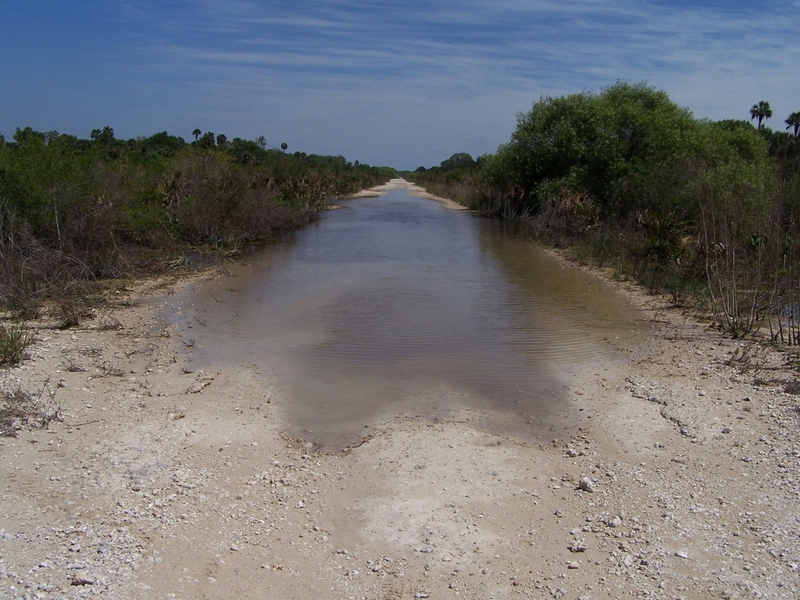 In some spots the road was completely level with the swamp and water lapped at its edge. Then came the puddles the size of swimming pools in the middle of the road. 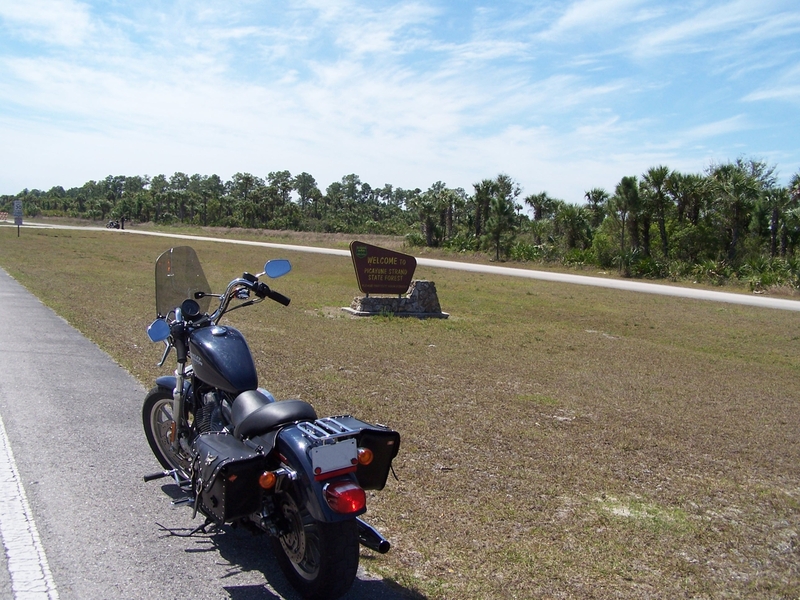 Plenty of birds flew out of the brush as the roar of the Harley’s cut through the silence. In a clearing there was a family of deer that were crossing the road, they stood for awhile as we approached, probably wondering what the hell we were doing way out there. But by the time I was able to stop and grab my camera they had disappeared into the thicket. After that I just slung my camera over my shoulder in case I had another opportunity. I figured it wouldn’t be a problem carrying it this way because my max speed was barley 10 mph. As my luck would have it, none came. It was evident that there would be no possible way to get through. Not only was the water completely across the road from edge to edge, it looked quite deep. 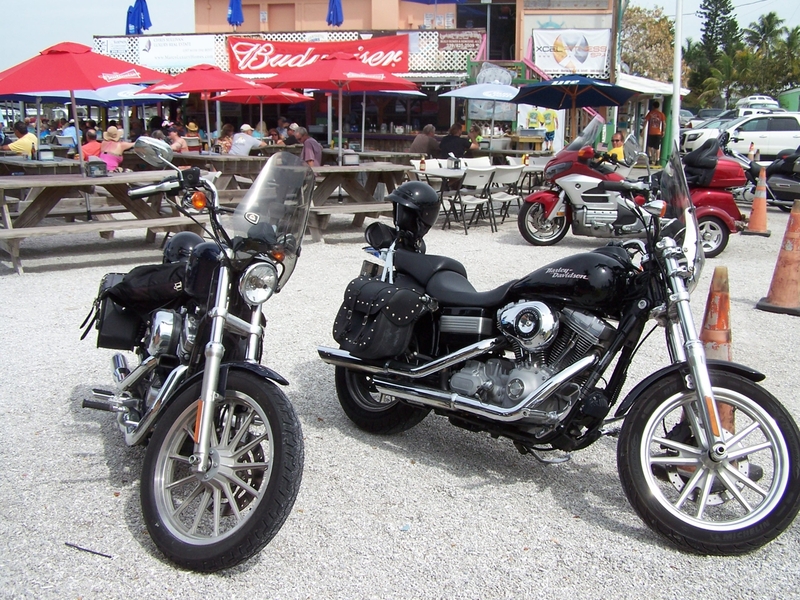 The Harley’s finally had met their match. As we were accessing the situation a Park Ranger pulled up. 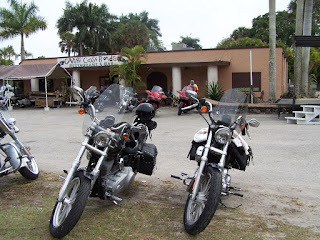 The two Rangers inside each had that look like either we were one cracker short of box to be way out here on a Harley or we were Canadian tourists. Anyway, the passenger politely told us with a slight smirk on his face that it would probably take another month or so before the road would be passable and that further up it got a lot worse. Worse? As I watched them leave, the water went well past the tires on their pickup. Well that settled it. Time to turn around. There was an alligator sunning himself on a broken piece of cement by the road when we first pulled up. 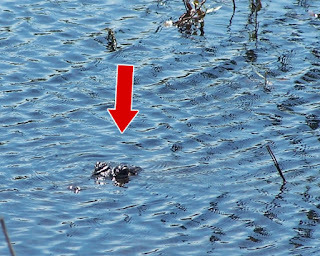 He was not more than a few feet away down a slight embankment. After the Rangers left I looked backed to see where he had gotten to and to make sure he was not sneaking up behind me. But he had slithered down in the water although he was still keeping a watchful eye on me. Glad he wasn’t hungry. Was that a wink? Inspecting the bikes when we got back on the paved solid ground I figured it would definitely be time to wash the bikes when we got back. Lately I had wondered what it might be like to go on one of those motorcycle adventure tours, not anymore. As far as I am concerned our little tour might not have been exactly like one but it sure came close (minus the hills)... uh, where is the Rub A535! 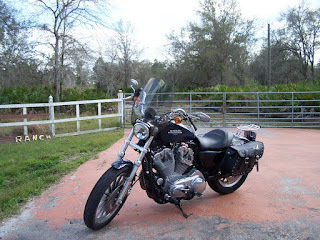 It was a Monday and I wanted to at least get out on my bike for an hour or so, it didn’t have to be an epic journey where I would spend hours in the saddle, just something that would satisfy my craving to ride. 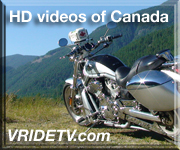 We had been on our usual riding roads countless times this year, the same few that provide some of those elusive curves and twists that are so hard to find around here. I needed a change. 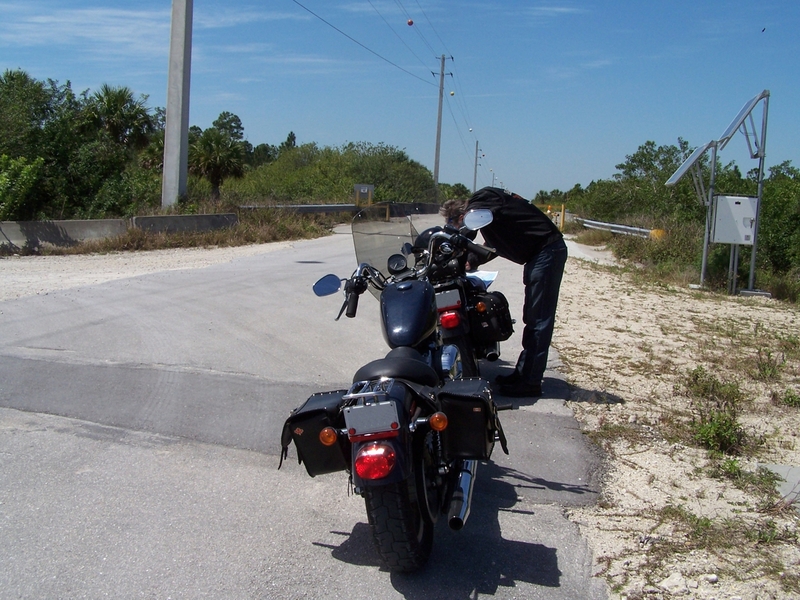 I have come to the conclusion that some places just are not that ‘sweet spot’ that a motorcyclist yearns for. 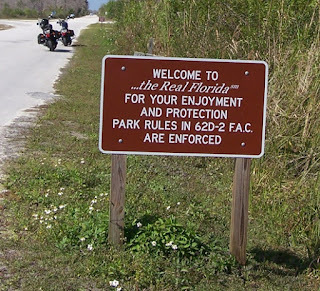 Southwest Florida happens to be such a place. Don’t get me wrong, I really do like Florida. It is my kind of weather (sometimes a little too hot - yeah, I shocked myself too when I admitted that) the problem is that if you are not caught in the heavily congested traffic that plagues the cities then it just becomes a continuous flat landscape with straight mesmerizing roads, that occasionally makes me get tunnel vision, then teases me with the odd curve. But I am really curious about how these kind of bikes would fit me because they all consider a shorter person 5' 3". Who thought that one up? As far as I am concerned, that is definitely not short! 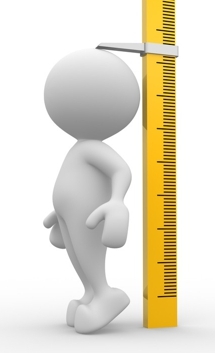 Take me for example, I stand at 5' 1", if the industries standard is 5' 3" then what does that make me? Anyway, it would be fun to test out something different and if nothing else it would satisfy my need for a ride. As we head down the road as predicted the traffic got heavier, solid in all 3 lanes. I am motoring along minding my own business when a car decides to overtake my lane. With a slight turn of my head I am looking directly at the person through their window, by this point two of their wheels are across the line. In the split second before I sped away I notice that they are more preoccupied with their cell phone than driving. I didn’t have enough time to quite give them the finger, but close enough as I raised my hand and passed them before impact. 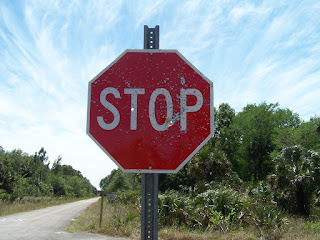 Which brings me to a pet peeve I have about Florida and cell phones. Not only is the amount of traffic horrendous here, which is something that is hard enough to get used to coming from a small community in Ontario where waiting at a stop sign for two or three cars is considered rush hour. But what is even more alarming is the number of motorists who are texting while they drive. I noticed more often than not that this is still a common occurrence when I am motoring about. Maybe the problem wouldn’t be so prevalent if they made cell phones illegal. 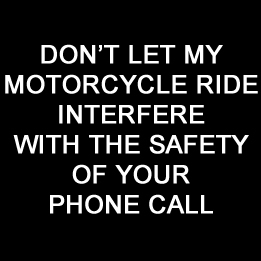 Believe it or not, it is legal to use a cell phone here while you drive and I am not talking about the ‘hands free’ devices either. In Florida's defense there was a statute implemented a year ago that makes Texting illegal. However according to most of the critics they think it is worthless because you can only be stopped if you are also committing another violation like speeding or not wearing a seat belt while doing it. I would have to agree with the critics on this. Maybe one day things will change, before too many of us become statistics. Anyway, having that off my chest, in case you were wondering, we eventually got to our destination only to find that the place was closed. 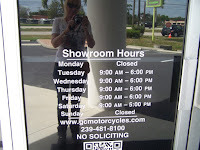 So we literally window shopped that day, peaking through the windows admiring all those shiny new bikes. It was still early but by this time the temperature had soared to 89 F (31 C) and we were both starting to melt in our gear. 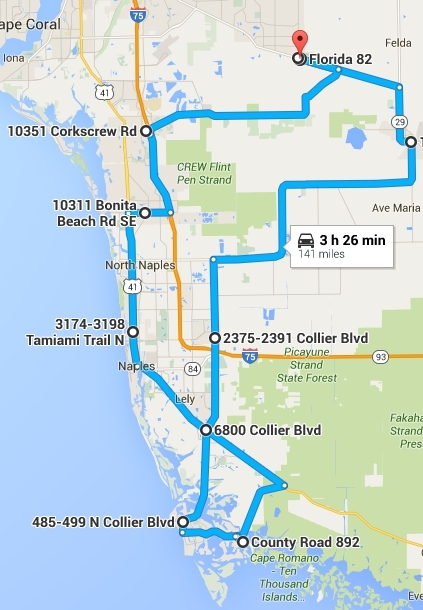 So we headed back on one of our usual routes that was a little less crowded. Same old scenery but at least having the wind in your face made it all worthwhile. Earlier this year friends of ours had stopped by our place while they were in Florida for the month of January and couldn’t say enough good things about a quirky place they had found where they liked to enjoy a cold drink and take in the lively atmosphere. So when I chose our route today I had that in mind and made sure to incorporate it as a feature stop on our ride. The way to get there was mostly an ‘urban’ type ride with moderate to heavy traffic flow in the more populated areas. However there were a few sweet spots where it thinned out enough to make the ride an enjoyable moto-cruise. 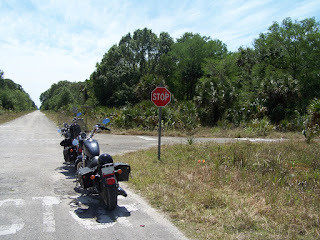 In the town of Immokalee we headed down 1st Street/Immokalee Rd. 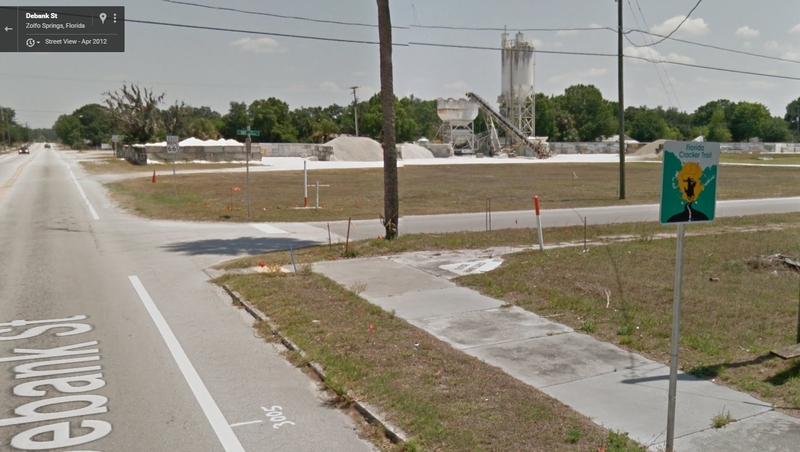 which took us past the Casino and through mostly orange groves until we got closer to Collier Blvd where the housing developments sprouted up from the landscape and we become entangled in a mass of traffic. 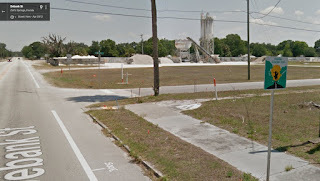 After turning onto Collier Boulevard we encountered quite a bit of construction for a good portion of that road. 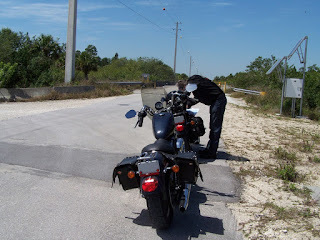 After awhile we decided it was time for a moto-break and pulled down a “no outlet” side street to cut down on having a steady stream of traffic whizzing by - which usually happens around here. I guessed we were probably in or near Naples at this point. We then continued along until we made our turn onto Tamiani Trail  and made our way down until we got to San Marco Road. It was at the corner of San Marco Road and 41 where we stopped at the ‘Gator’s Crossroads Restaurant & Bar’. 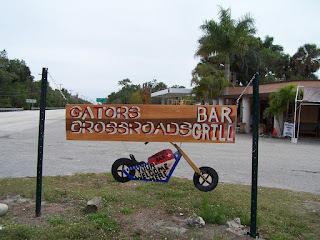 A quintessential ‘biker bar’ which is one of many that I have come across in these out of the way places. They just seem to be scattered randomly in the hidden nooks and crannies throughout Florida. 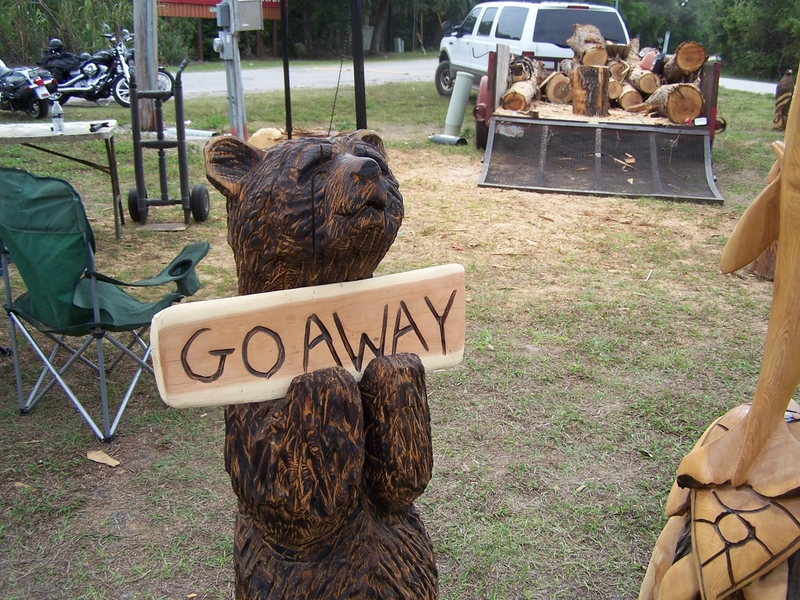 Out front there was a wood carver who had set up shop and was selling his sculptures. We took a moment and meandered over to browse through. 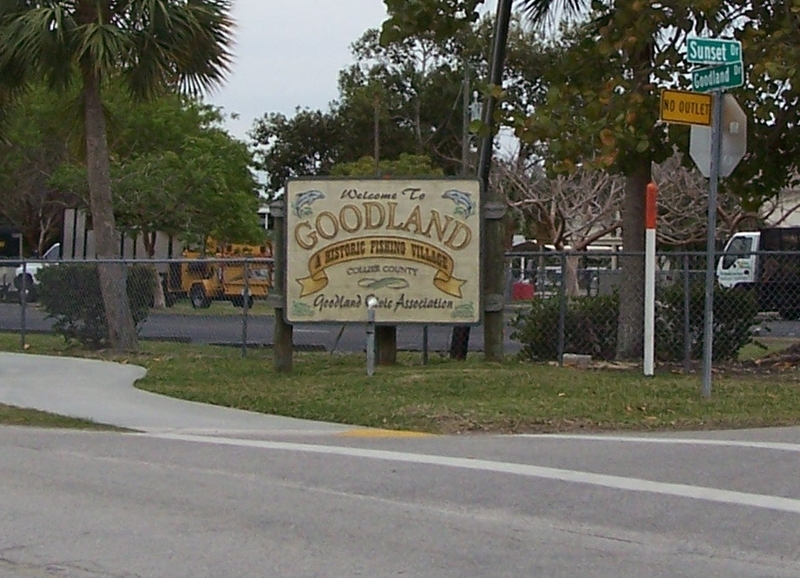 After our short moto-break we continued on down San Marco towards our feature destination that was in a small fishing village named Goodland. 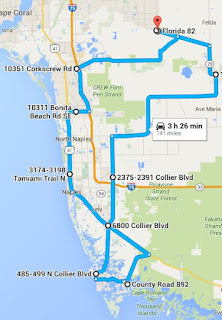 The town is nearly surrounded by water and is tucked away on an outlying portion of Marco Island. This is where we found Stan’s Idle hour. 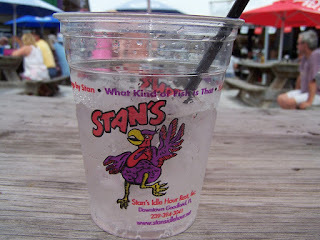 Apparently Stan’s place has earned itself a reputation of being an iconic restaurant/bar in the area. Even after Stan’s passing in 2012 his family continues on with the tradition and eccentric ambiance that was Stan. 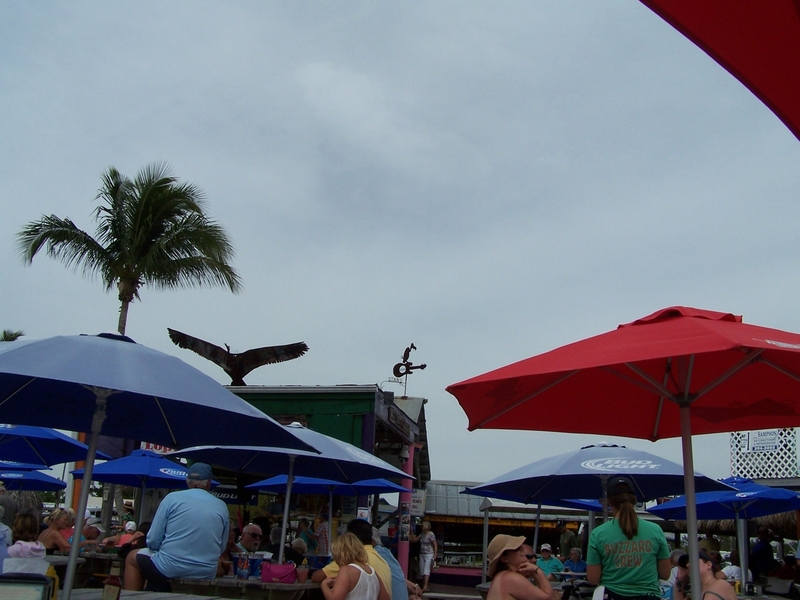 Stan’s Idle Hour features a couple of annual festivals and boasts live music throughout the week during the busy tourist season. The Mullet Festival and Buzzard Lope Queen Contest is a three-day event that attracts nearly 5,000 people at the end of January. This has been an annual event since 1985 when Stan came up with the idea to incorporate one of his wacky songs into a contest. And what is a festival without the food, which of course is the fried and smoked mullet. 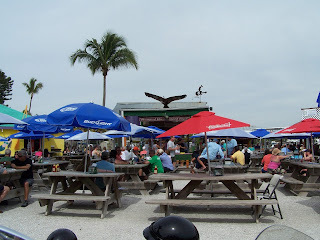 Then there is the 2nd Annual Florida Lobsterfest & Stan Look-A-Like Contest in the spring. 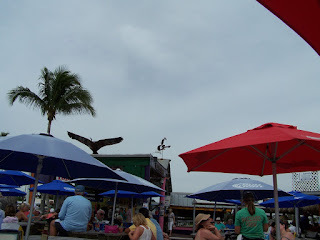 To be honest, it didn’t look like much at first glance, with the weathered old buildings looking to have seen better days and sun baked picnic tables that surrounded a eclectic looking stage. But then after all this is truly the kind of place where flip flops and Tee’s are the required dress code and where the emphasis is on its laid back atmosphere along with having a good time. When we pulled in a band was jamming out country tunes and quite a few old timers were twisting it out on the make-shift dance floor. Even though the place looked like a retirees Disneyland on a Saturday afternoon, it is the kind of place where you felt right at home no matter what your age. We took a slightly different way home, just for a change of scenery. However it was probably a mistake as it took us through Naples along 41 at a time when the traffic was bumper to bumper. (Come to think of it, when isn’t there traffic at this time of year) We were also unlucky enough to hit every red light - and believe me, there are a lot. 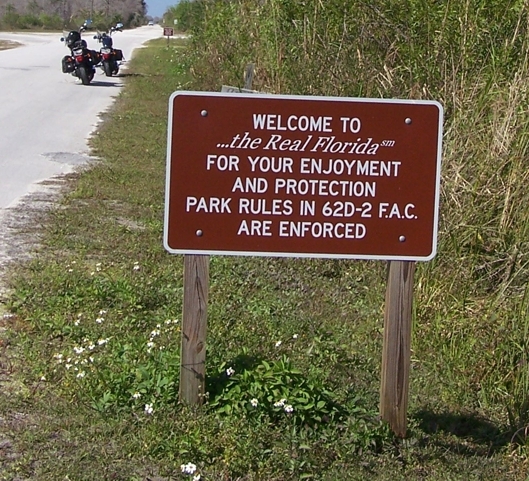 At least when we turned off of Bontia Beach Road and onto Imperial Parkway the traffic had thinned out considerably and it was easy cruising all the way home. 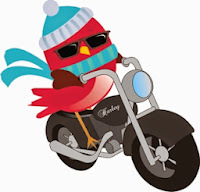 It was such a beautiful day, I just couldn’t waste a good ride day. So with no particular place in mind I plotted out a crude course on Google Map, printed it out and packed up some frozen bottled water (I always keep at least three half bottles of water in the freezer for just these occasions <grin>) and we headed out this morning. 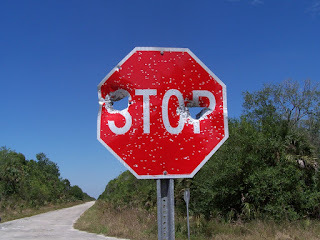 Lately, the problem I have found, at least in the area I am in, is that there is just not a whole lot of roads to choose a starting point from. To even get to a half decent stretch of “moto-delight” (a word I just made up - at least I think I made it up <grin>) you usually have to drive for miles on a straight, flat and tediously long road to even get to the good stuff. 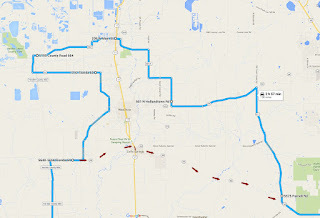 Like today’s route will take us along SR-31, a 36.4 mile (58.7 km) stretch of nothingness that eventually drops you into the little town of Arcadia. 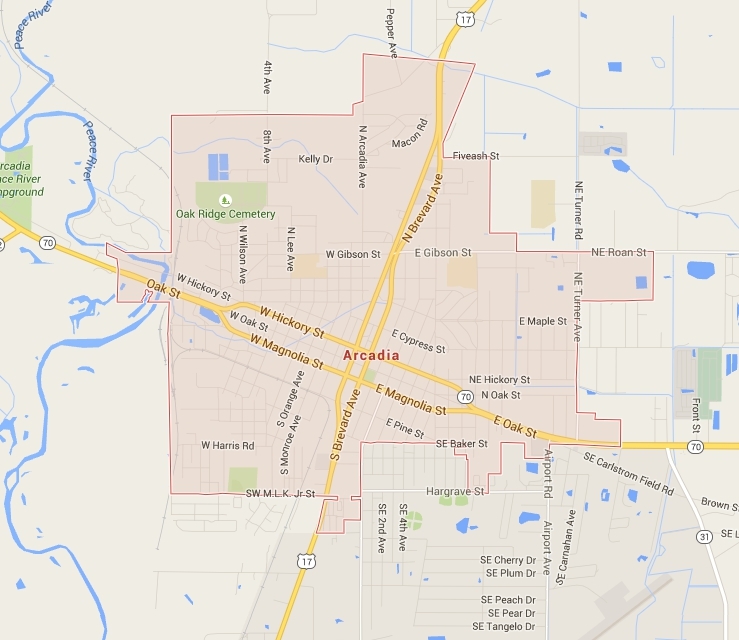 Arcadia is in DeSoto County and is famous for its historic downtown antique district. 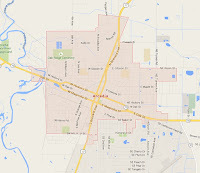 It also boasts the All-Florida Championship Rodeo that is held in March, and an Annual Watermelon Festival in May. Not that I have ever seen much of this town except glimpses as I whizzed through it on our travels. 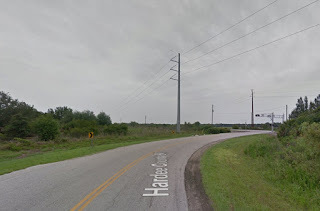 Anyway we did manage to bypass some of SR-31 by turning onto CR-763. 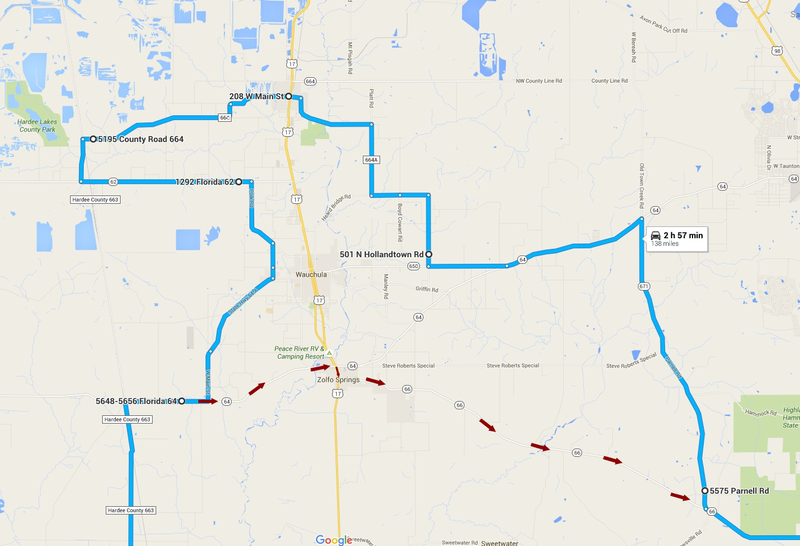 It is also a very straight somewhat mundane road that cuts through farmland, at least there was a lot less traffic. Although it too eventually dumped us back out onto 31 again. I will apologize for the lack of “real” pictures in this post, I blame it on my BF. Not that I don’t like riding with my BF, but most times he just rides and never thinks to stop anywhere of interest, or I guess I should say, interest to me. 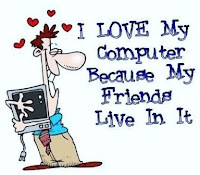 <grin> So I have been reduced to (with the help of Google Maps) grabbing images from the net. Note to self: I think I need a helmet cam! At this point a little further up the road we pulled over and decided to check my map and that is where we decided that we would deviate from my original route. We were now in the town of Ona, famous for Soloman’s Castle. We were there back in 2014 - you can check out my post here if you are interested. 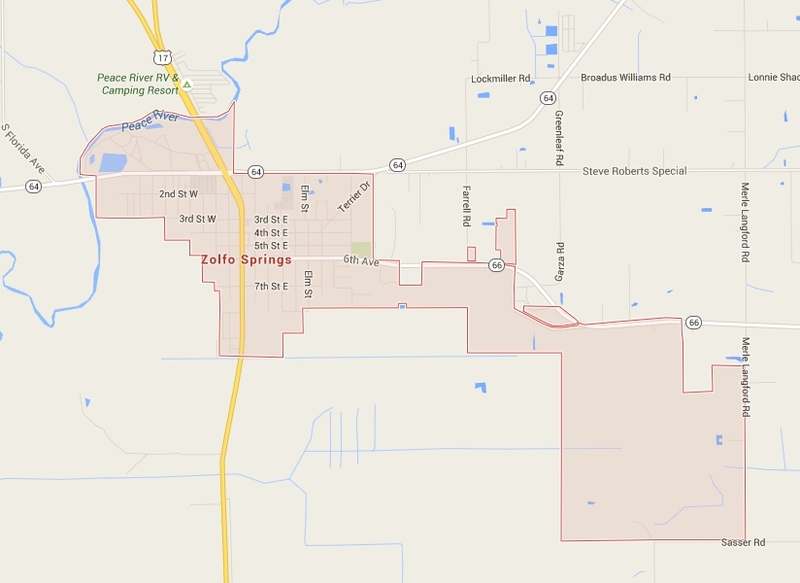 We then headed along 64 towards Zolfo Springs. This quaint little town was founded in 1904 and encompasses 1.5 square miles featuring the Peace River and Pioneer Lake. This is certainly a true part of ‘Old Florida’ which focuses on the Florida Crackers of yesteryear and holds an annual ‘Pioneer Park Days’ every spring. 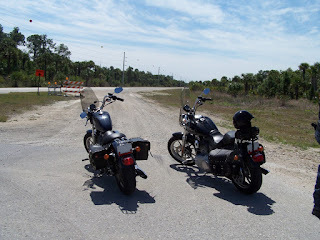 We then headed down 66 which is part of the famous Florida Cracker Trail. 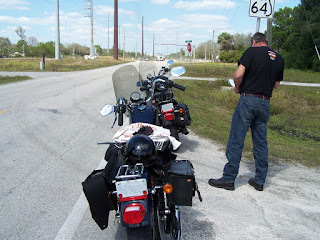 We then left the historic trail of 66 at 27 and headed towards Lake Placid in Highlands County. 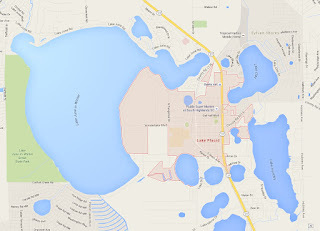 This community has 27 freshwater lakes and has over 40 historical Murals around town. We pulled into a Publix mall parking lot to take a rest after the long ride from Ona (yeah, it wasn’t a very interesting place stop for me either). As I stretched my legs I did catch a glimpse of a rather large tower that looked out of place, and made a mental note to check into it when I got home. 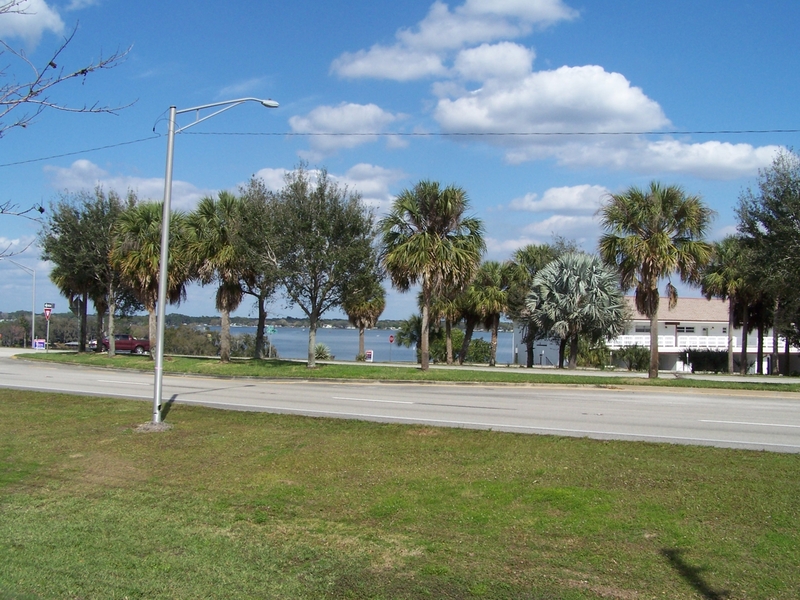 Also across the highway from the parking lot I managed to snap a picture of Lake Clay when there was a break in the traffic. I found a bit of an interesting story about that tower I had seen. It is called ‘The Happiness Tower’ and rises 270 feet above ground, although it doesn’t look so ‘happy’ any more. 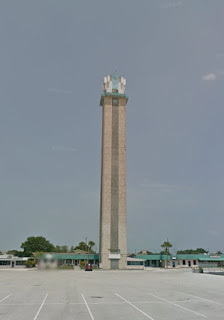 It opened in 1960 as ‘The Tower View’ a restaurant where visitors were encouraged to ride to the top of the tower to phone home -billing it as 'Florida's highest payphone". 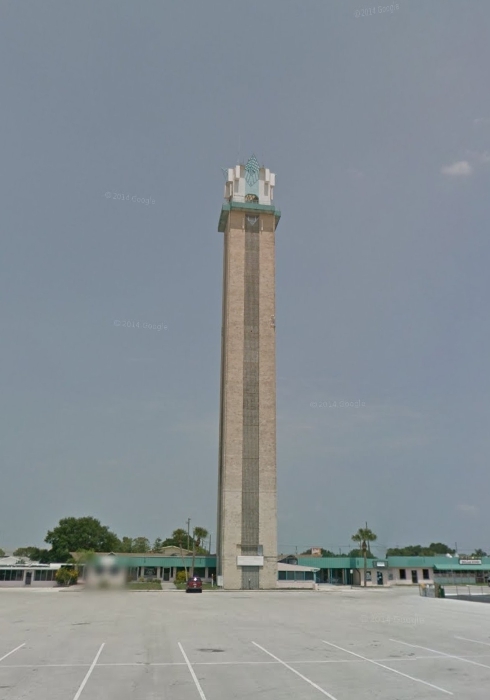 It was in the late 1960's when the name changed to 'The Happiness Tower' also know at the same time as ‘The Peace Tower’ trying to lure or just confuse people to visit as it waned in popularity as a tourist attraction. In 1982 the tower closed until 1986 when it reopened and continued to struggle sometime into the 2000s when it was permanently closed. Finally we were able to turn off the highway  to travel down some ‘moto-delight’ - a picturesque and curvy part of Lake Placid. Unfortunately we missed the turn at Cloverleaf Rd that would take us around “Lake June in Winter” then onto Lake June Road to CR-17. 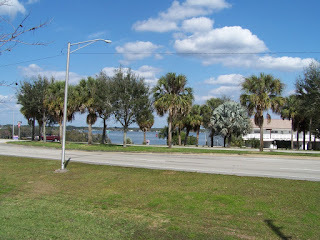 As it turned out we did go up Lake June Rd in the wrong direction which took us back out to 27. 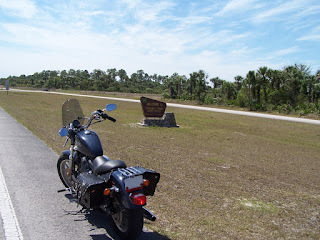 We turned around and went back down Lake June Road again, (which I didn’t mind -it was a fun and curvy road. <smile>) where we finally found 17 and wove our way around Lake Placid. Okay, at least for 'mole hills' it gave this stretch a redeeming quality, as we road it like a mini roller coaster. After that bit of excitement we headed towards Venus on CR-731. 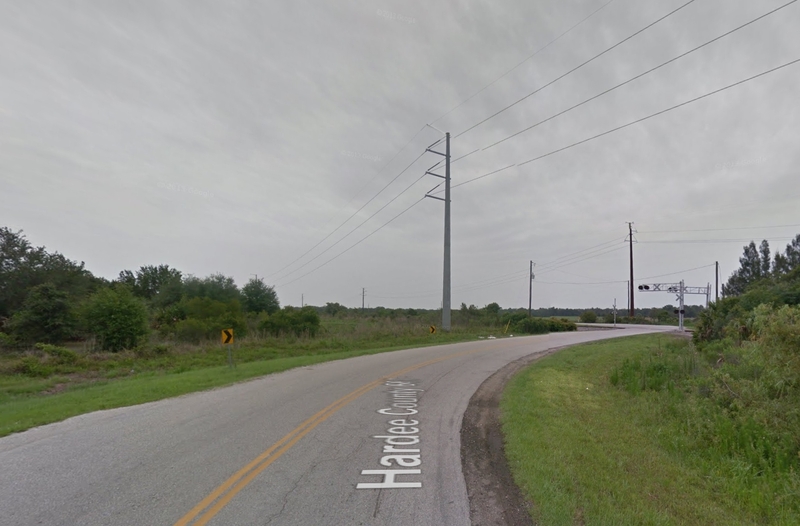 A somewhat forgotten hamlet within Highlands County that has a spattering of worn down homes and a few forgotten farms. 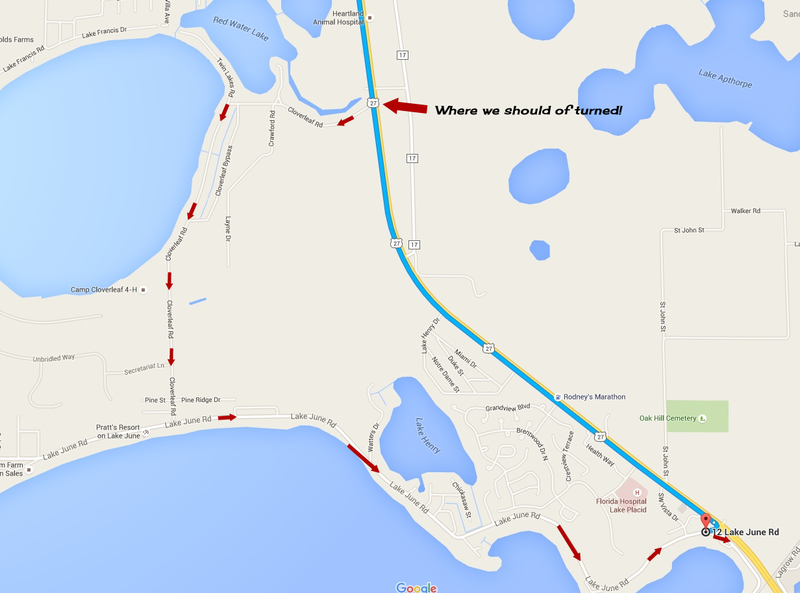 We turned down Detjen's Dairy Rd to stay away from FL-27 for just a bit longer. 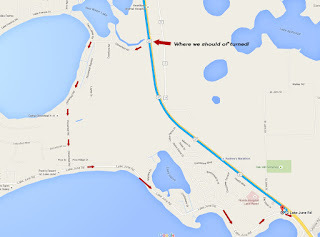 But as with most roads around here they either end completely or force you back onto a highway. 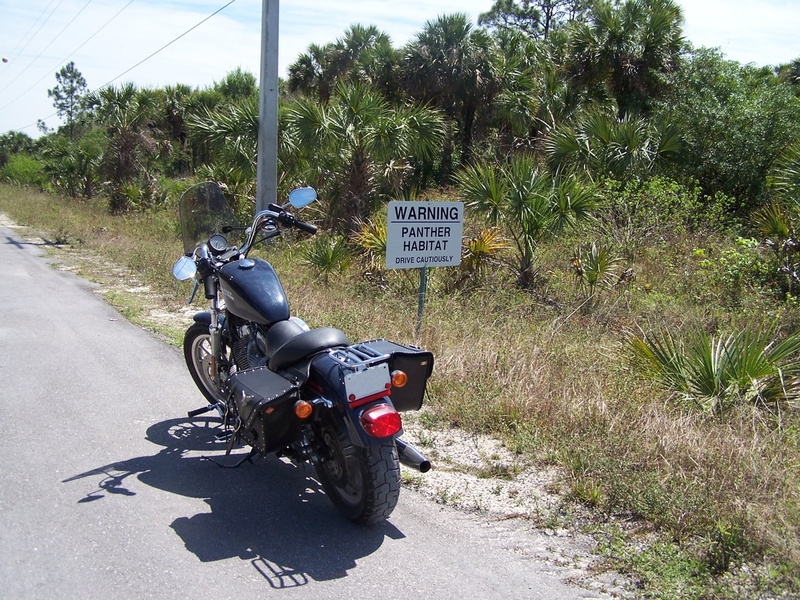 <sigh> We then headed towards LaBelle down FL-29. 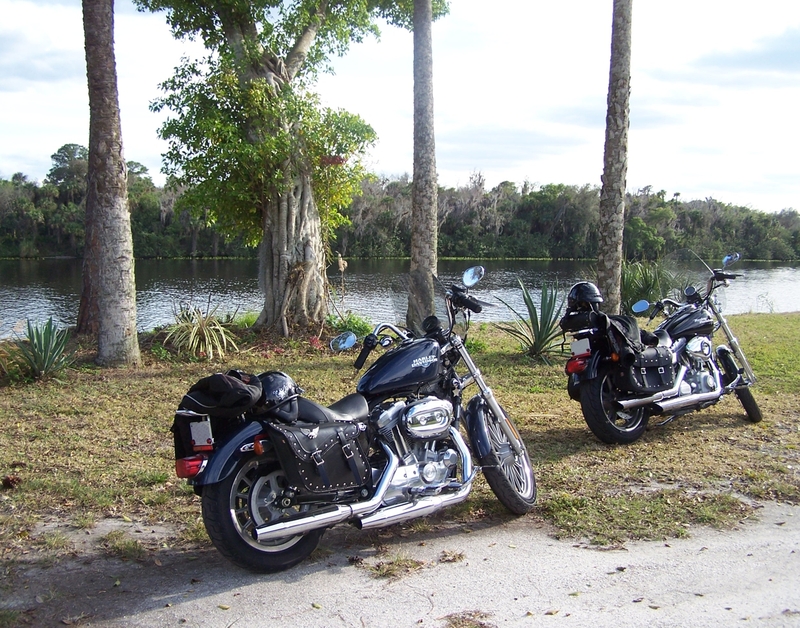 At least we made one last scenic ride when we got off of 29 and made our way on our favorite N. River Road [ 78] with a final rest stop at ‘our park’ the Bob Mason Park before heading for home. So ended our 209 mile (337 km) journey, always a thrill when on two wheels even when you have no where in particular to go.